CarGurus has 39,702 nationwide Mustang listings starting at $1,850. The 2011 Ford Mustang gets more power, better handling, greater efficiency, a visual refresh, and some tech tweaks. Ummm… the cupholders sometimes get in the way? On paper, the 2011 Ford Mustang is better in every way. Perhaps more importantly, the numbers add up to beating its rivals in power, efficiency, handling, and even weight. Was it necessary? Probably not. Is it welcome? You bet your lugnuts. Ford invested $155 million dollars in its Cleveland engine plant in order to develop the all-new 3.7-liter V6 for the 2011 Mustang, and what they got for their money is the world’s first vehicle that tops both 300 hp and 30 mpg. That’s right, the V6 in the 2011 Mustang is just 10 hp shy of the outgoing V8’s output, has 95 more hp than 2010’s 4.0-liter V6, and bests both in fuel efficiency. Sure, the big news in the Mustang world is the triumphant return of the 5.0, but I’m sure you’ve read all about that already. Don’t worry, we’ll get to that magnificent piece of engineering in due time, but the popularity of that marketing move on the part of FoMoCo has done the company a bit of a disservice, overshadowing some significant improvements to an already impressive vehicle. So what’s newsworthy for the 2011 Mustang other than the return of the 302? Casting engines aside for a second, Ford managed to decrease drag on the 2011 Mustang by 3% with better sealing around the radiator and rear decklid, new front air dam and underbody covers, as well as rear wheel liners – what Ford is calling “spats.” These additions also have the added benefit of reducing noise while driving, especially on loose or wet surfaces. The all-new, all-aluminum 3.7-liter Duratec V6 has twin independent variable camshaft timing, a redesigned cylinder head, and a compression increase to 10.5:1. It also has a new exhaust manifold, but otherwise is the same 3.7 found in the Lincoln MKS and MKT, albeit modified here to work in a rear-wheel-drive application. All that gets you 305 hp and 280 lb-ft of torque, and when paired with the six-speed automatic, it’ll also deliver 19/31 mpg. I’ll repeat this because it bears repeating – that’s not class-leading, that’s a world first. The six-speed manual will drop highway mileage to 29, but I’m sure you’re not complaining. So we come to the 5.0. The 302. What may be the most famous and most modified engine in history. Well, this isn’t the same engine born in Windsor back in the '60s, rather this is a bored and stroked version of the 4.6-liter we’ve been seeing since the mid-'90s, here pushed to its displacement limit - 92.2mm bore and 92.7mm stroke if you’re keeping score. 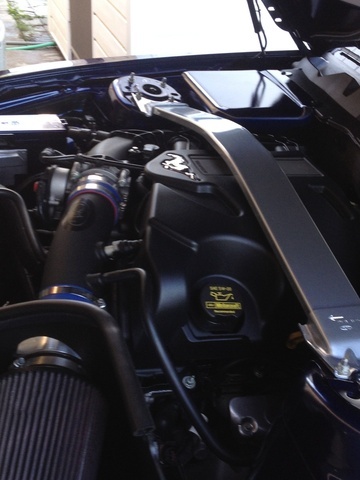 In this application, it’s a DOHC unit as opposed to the SOHC system to which we’ve grown accustomed. New cylinder heads were designed because Ford engineers apparently couldn’t make enough hp with any of the existing heads in their arsenal, including those used in the Shelby GT500. Thankfully, the new head design left room for a new intake system that works with the new composite intake manifold and tubular exhaust headers for a huge respiration improvement. Intake and exhaust both get variable cam timing, and the compression ratio is 11:1. No direct injection here, but even with that omission the 5.0 still manages 412 hp and 390 lb-ft of torque with efficiency ratings of 17/26 with the six-speed manual and 18/25 with the six-speed automatic, all increases over 2010. Ford has also increased efficiency 1% by employing something known to induce retching at its very mention: electronically assisted steering. Handling was one of the very strongest points of this newest-generation Mustang, so it took a pair of iron lugnuts to attempt to fix what wasn’t broken. Early reports say that Ford has not only maintained the level of precision set with the old unit, but even surpassed it. What’s more, the new electric setup offers several advantages over the old belt-driven steering pump system, namely adaptability. The electric assist can adjust to deal with heavy crosswinds and uneven roads and can even increase the boost profile during low-speed and parking maneuvers, while returning to a more appropriate setting at speed. Makes you wonder why we’ve been robbing our engines of that power all these years. The suspension has been tweaked as well, with larger anti-roll bars across the lineup, new rear lower control arms and bushings, as well as a standard strut tower brace. Spring and damper rates have also been messed with, so we’ll see how owners like the new setup. 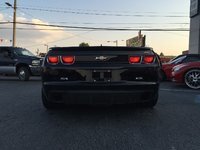 Brakes have also been upgraded, with 13.2-inch fronts representing an increase of 0.8 inches, but if that’s still not enough, Ford offers a Brembo brake package with 14-inch fronts and the familiar red calipers behind unique 19-inch wheels. The lauded Ford Sync system has been updated, now to include Traffic, Directions & Information, and 911 Assist, as well as Vehicle Health Report. Welcome and helpful certainly, but slightly boring. The large, 160-mph speedo and 7,000-rpm redline tach are ringed in chrome, and savvy fans will note that 7,000 is a 500-rpm increase in the redline for this year’s GT over the 2010. Aluminum can also be found throughout in all trims, but the Base V6 and most surfaces are padded and textured, with the disappointing exception of the door panels, which some have complained will offend the elbows, especially during spirited excursions. While front seats are comfortable and supportive, they sit low against rather high doors and dash, making shorter drivers feel a bit sunken. Taller drivers may find knee issues, especially when operating the clutch, and the rear seat is predictably mostly theoretical. The gear lever in both manuals and automatics can interfere with climate controls and cupholders. The Ford Mustang comes with a wide array of safety features regardless of trim, including dual front and front-side airbags, four-wheel antilock disc brakes, an antiskid system, and Post-Crash Alert. While the NHTSA ratings have not yet been released for 2011, the 2010's five-star rating across the board can be taken as a worthy barometer. You’ll be hard-pressed to find an owner willing to complain about an increase in power and efficiency, and that isn’t even taking into consideration the substantial aesthetic, chassis, and technological upgrades the Mustang has received this year. Still, climate controls can be blocked by the shifter when in forward positions, which is especially frustrating when first getting in with the automatic in park. There have also been reports of conflicts between the manual shifter and the cupholders, but you shouldn't be drinking and driving anyway. And this probably doesn't need to be said, but the rear seat exists primarily theoretically. 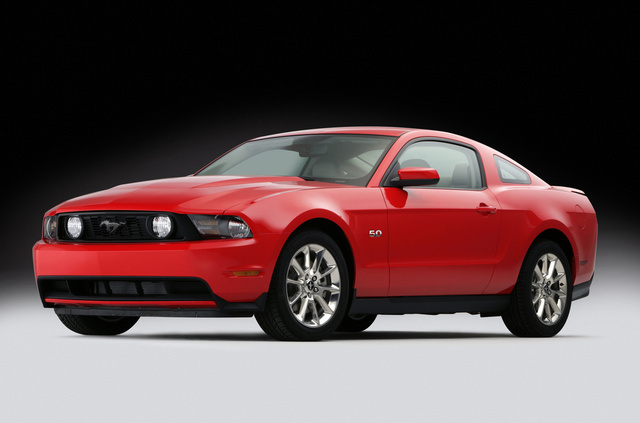 What's your take on the 2011 Ford Mustang? Users ranked 2011 Ford Mustang against other cars which they drove/owned. Each ranking was based on 9 categories. Here is the summary of top rankings. 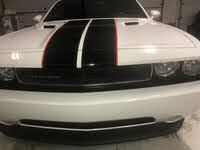 Have you driven a 2011 Ford Mustang? Mustang GT 5.0 2011 Timing Chain Or Belt ?? Mustang GT 5.0 v8 2011 timing chain or belt ?? While Driving From A Stop Total Loss Of Gas Acceleration. If it is not clear then I have attached a photo of where my lights aren't working. When it's dark enough you should be able to see which gear my car is on. Please help.